The background music wasn’t particularly notable. The show had three different OPs, all J-Pop. Mei-Q, the best of the OPs is linked above; it features several puns using “Q”, e.g. “Make You”. Exactly what “Q” is, is somewhat spoilerish, except to say that Kyuu is also the name of the lead character. 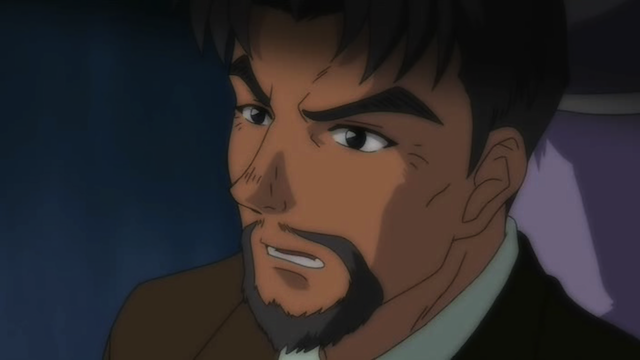 The central conceit of the show is that one incredible detective, Dan Morihiko, is so revered by the police that the detective school he set up (DDS, Dan’s Detective School) is called in regularly by the police to assist on difficult crimes, such as unsolved murders. Our main characters are students at DDS, and therefore get to investigate murders regularly. 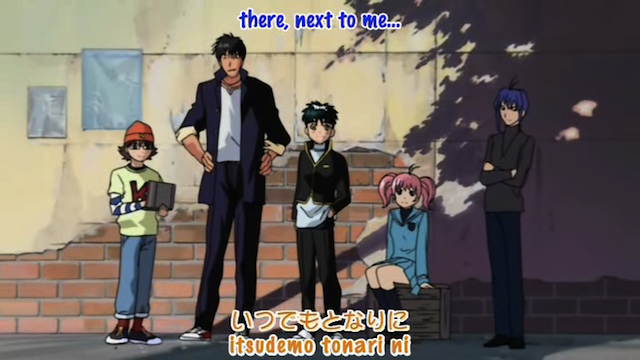 Left to right: Kyuu Renjou, Megumi Minami, and Kintarou Tooyama. A problem or question is posed at the beginning of the story, and at the end of the tale the answer is revealed. The most familiar form of Mystery is the “Whodunnit”. The question, obviously, is “Who committed the murder?” An unusual variant, best exemplified by the TV series Columbo, starts by revealing the perpetrator of the crime to the audience. By inverting the Mystery convention, the question becomes “How will the detective catch the criminal?” Detective Academy Q has its own slight variation on the Mystery genre. The essential question is “How?”, thus the show largely revolves around figuring out “tricks”. Sometimes the How is “How was the crime committed?”, but sometimes cracking the case requires figuring out an alibi trick. If a detective gives up, the case will never be solved. The young DDS students solve a variety of cases, and it should be no surprise that the most satisfying are those that are spread over three or more episodes. Often they work together as a team, with different characters taking on specific roles. Sometimes just a couple of characters will go off by themselves, for at least part of the case. This works pretty well, in that the different characters interact with each other very differently. 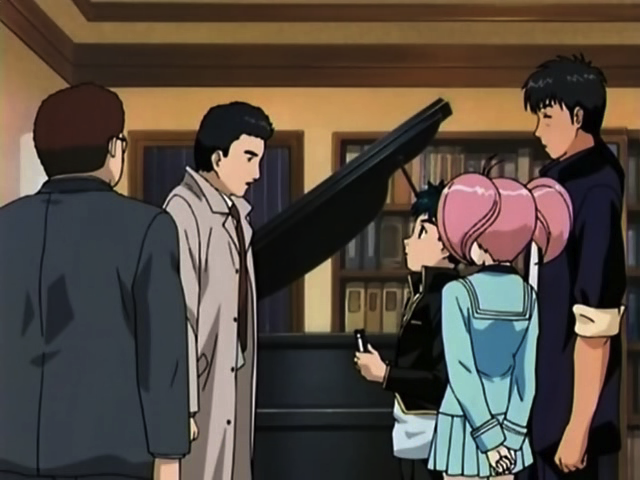 Other shows (such as Kindaichi) have fewer recurring characters, with the detective and his side-kick having similar interactions in every case. 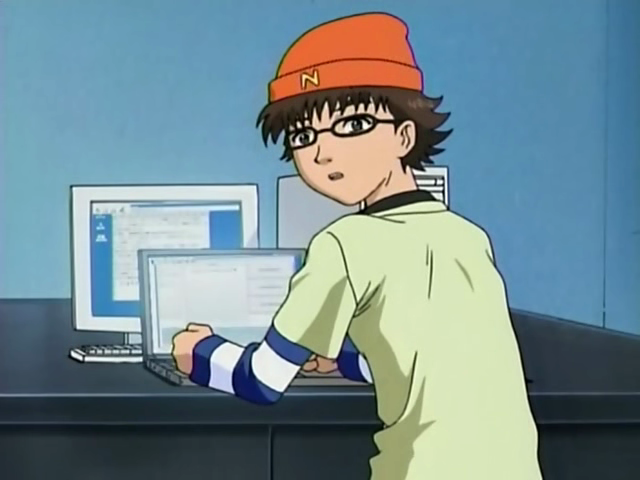 Genius elementary school computer hacker, Kazuma Narusawa. Now, this doesn’t mean that the characterizations were brilliant. Some of the concepts (particularly of the main characters) were pretty weak. Each character had some (slightly absurd) character trait that was used instead of developing believable personalities. But this isn’t a huge problem, because characterization is rarely the strong point of Mysteries. The strong point of Detective Academy Q is in the Mysteries themselves (the tricks) and how they are eventually unravelled, which is as it should be. Some of the students at Dan's Detective School. In the end, Detective Academy Q is a fun watch for those looking for a real Mystery series. The show is rarely gruesome (a couple of murder cases require detailed depictions of the corpses to depict the clues). A lot of time is spent on reasoning out the nature of the trick that is the critical piece required to solve the cases. The final third of the series builds towards a fairly satisfying “conclusion”, rather than ending arbitrarily after a series of unrelated cases. I used to watch this ages ago when I had Animax. It was a very interesting detective anime and as a girl, Ryu was a bonus for me. There is a surprising amount of Ryu fan service, given that the series doesn’t really have a lot otherwise. Watched this on Animax as well. As you’ve pointed out, this is the only Detective series (apart from Conan and maybe Spiral) that actually sticks to its genre. There were elements of shonen and school life, but every episode felt like a detective show with a crime and a logical explanation for each case. My favorite arcs were the Jack the Ripper and the Seance one. Nice to see this anime get some recognition, rather underrated work, this one. 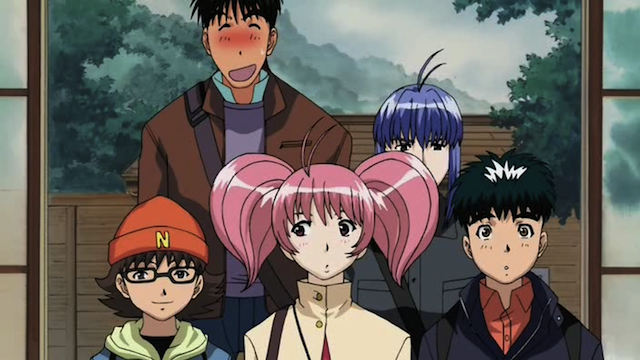 The mysteries in Detective Academy Q were pretty good, especially the ones that required several episodes to cover. I haven’t seen Spiral. Conan varies in quality and tone; there are many, many episodes, so I suppose that it isn’t surprising. Conan also has some weird pseudo-science built into the premise. Another series that was straight-up Mystery (although it had supernatural overtones) was Puppetmaster Sakon, which I reviewed earlier. I don’t know why anime has shied away from the Mystery genre lately. Dantalian no Shoka was a perfect example of a series that seemed like it might be a Mystery, but was actually anything but. I’m not just talking about the prominence of the Fantasy elements. In one episode, for example, the protagonists hear of a mysterious book that some kids have. They go to the school and talk to the teacher. The teacher says the kids are in the building out back. The kids are there and hand over the book. The protagonists get rid of the book. That is not a Mystery. The Mystery genre requires some question whose answer signals the end of the story. Of course, the other recent “pseudo-mystery” was Gosick. As much as I ended up enjoying that show for the character-driven adventurre series it was, I think the elements were there to have made it into a true mystery series as well. It would have required an extra level of effort and planning, but if they’d been willing to go that far, they could have ended up with a true classic on their hands. I don’t know about the relative popularity of Mystery novels in Japan. Regarding Gosick, yeah, that was more of an Adventure story (or Romance-Adventure) that had a lot of Mystery elements, rather than being truly in the Mystery genre. I enjoyed it for what it was, but if they could have made it even better, that would have been great.